Planning on attending San Francisco Beer Week this February? 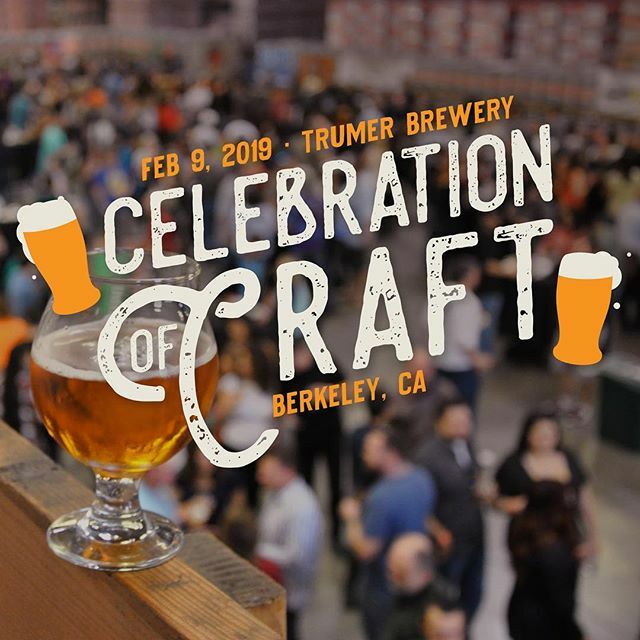 If so, you won’t want to miss the 2019 Celebration of Craft, hosted by Trumer Brewery in Berkeley. All proceeds from the beer festival go back to support the CCBA – the organization protecting and supporting craft beer across California. With 30 breweries and 600 beer lovers, the Celebration of Craft is a not to be missed event held on Saturday, February 9th from 4-8pm at Trumer Brewery. This event is the finale for the 2019 San Francisco Beer Week and tickets include unlimited pours, dinner, and great memories. A free shuttle bus from the North Berkeley BART Station to the Trumer Brewery in Berkeley will be available to all attendees the day of the event. This event is a fundraiser for the California Craft Brewers Association, a nonprofit association representing all craft brewers in California. Support craft beer by purchasing your ticket here today!